It feels like the garden is sprinting ahead and we are lagging behind with sowing, planting and weeding. 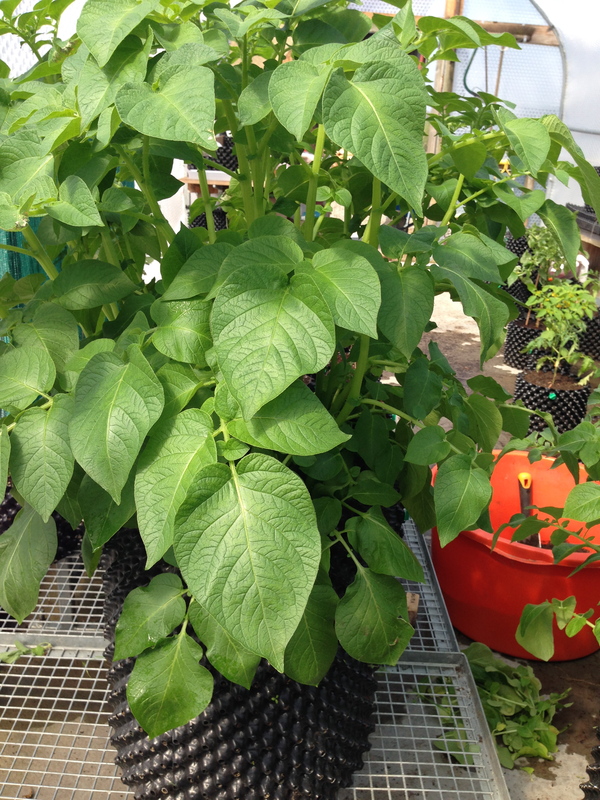 The early plantings in the Air-Pot potato towers have really appreciated being in the poly tunnel, they have been earthed-up and will yield a June crop. 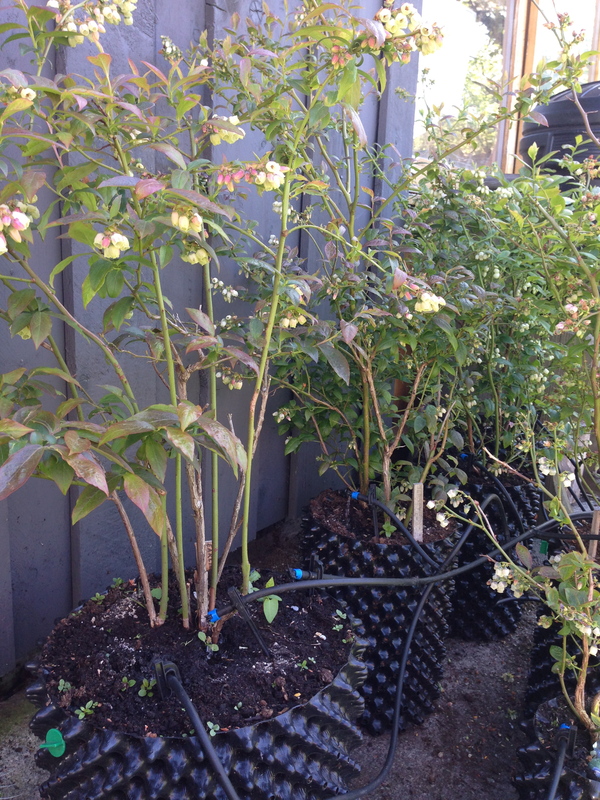 The Air-Pot blueberries have burst into flower and are getting plenty of water from the gravity fed irrigation system, I will give generous ericaceous feed and they will all go into bigger pots this year. Ultimately they will all be in an Extra Large Air-Pot where they should be happy for years. I will then need to get the hang of rooting baby blueberry cuttings (tricky)! 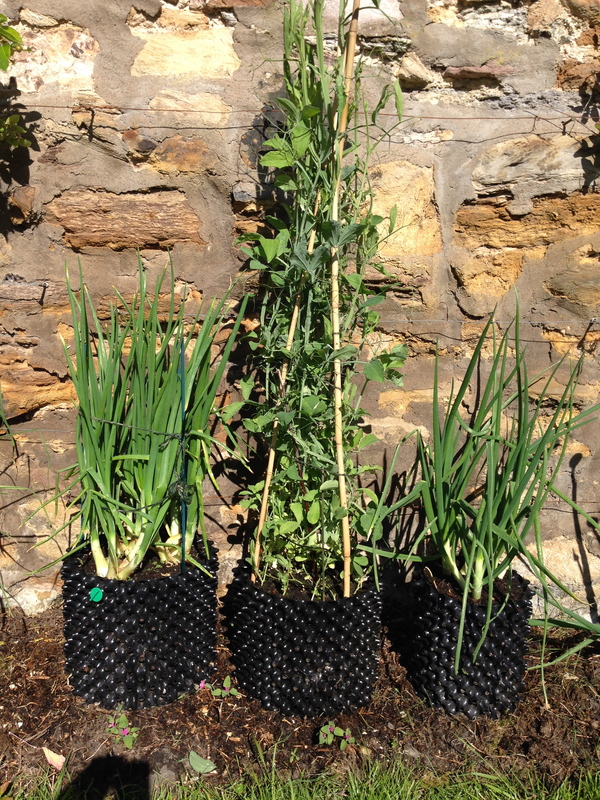 The sweet peas have rocketed up their bamboo tipi which is covered in healthy growth ready to give an early summer display. 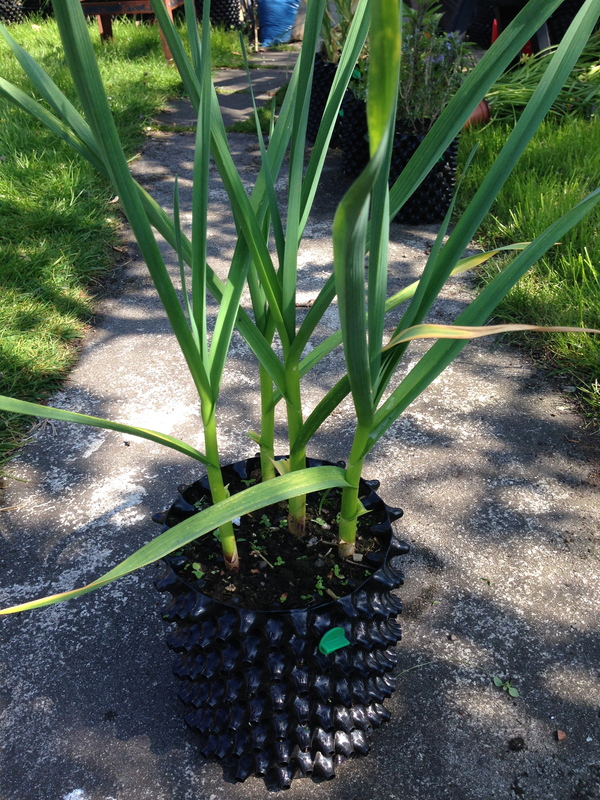 My cherished multiplier onions in Air-Pot containers are also thriving, they are ahead of the plot grown ones and safe from diseases. A reassuring back-up when trying to increase a precious strain.